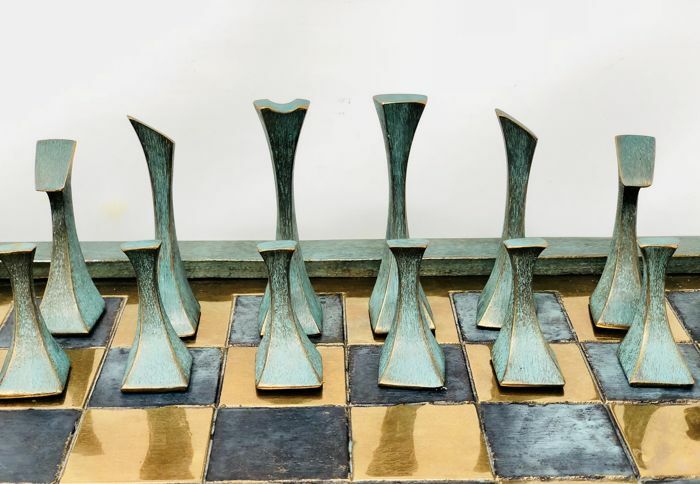 Artistic Eduardo Chillida style chess set from mid 20th century. 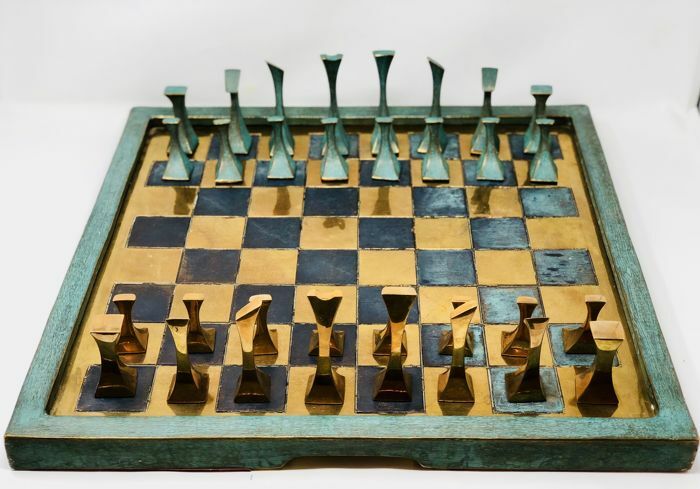 Chess of avant-garde art that represents the art in nature always using noble materials without human alteration. 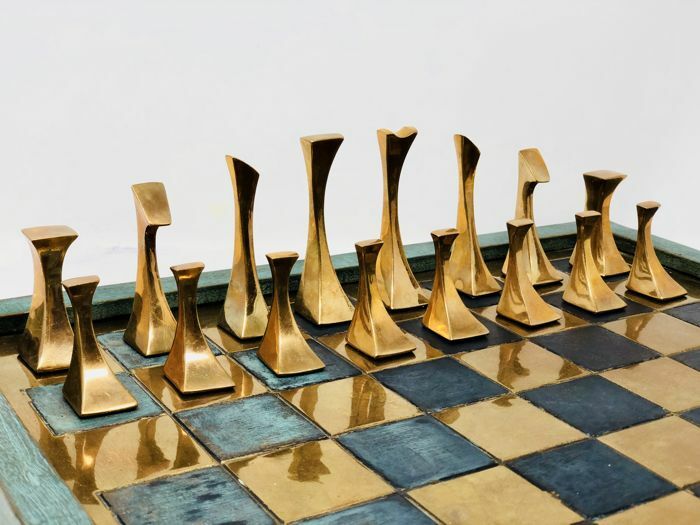 Figures in the landscape. 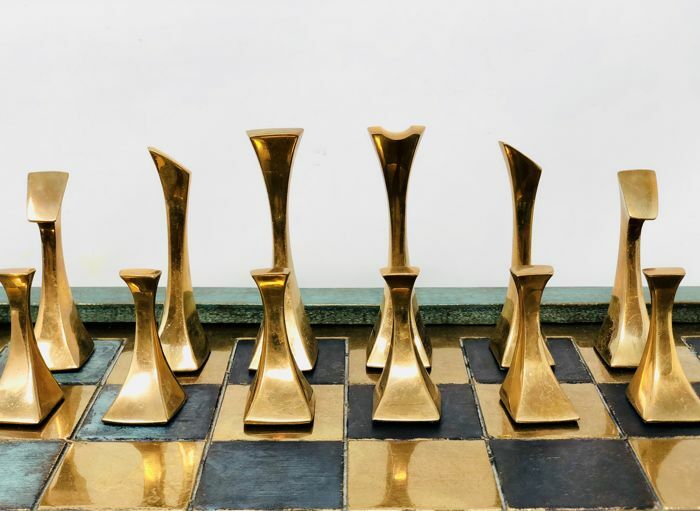 This style of abstract sculptures have their origin in Pablo Picasso who is one of the most famous and influential artists in art of all time. 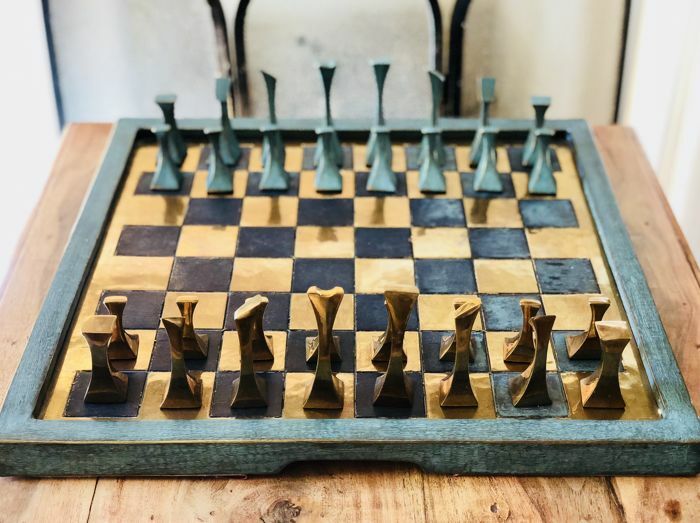 In this case it's a chess set of pieces carved by hand in pure bronze with a set of green oxide typical of this sculptural art. 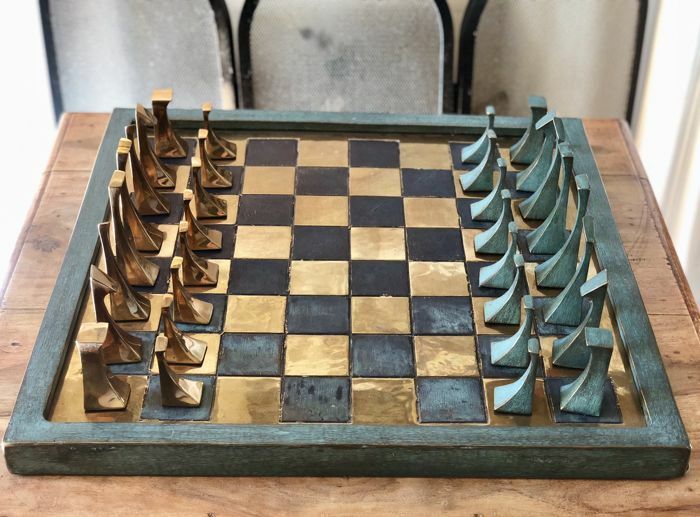 Includes one impressive board all in bronze that’s original from the set. 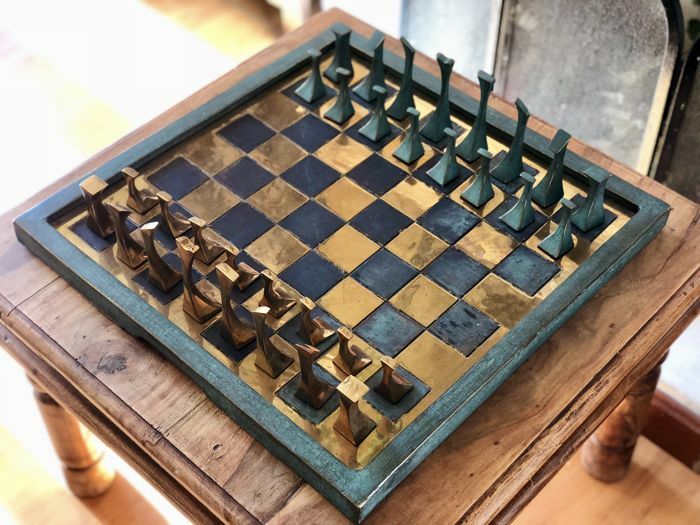 One of the unique artistic chess sets that will make history by its exclusivity, unique and original with a weight of more than 25 kilos of pure bronze noble material. 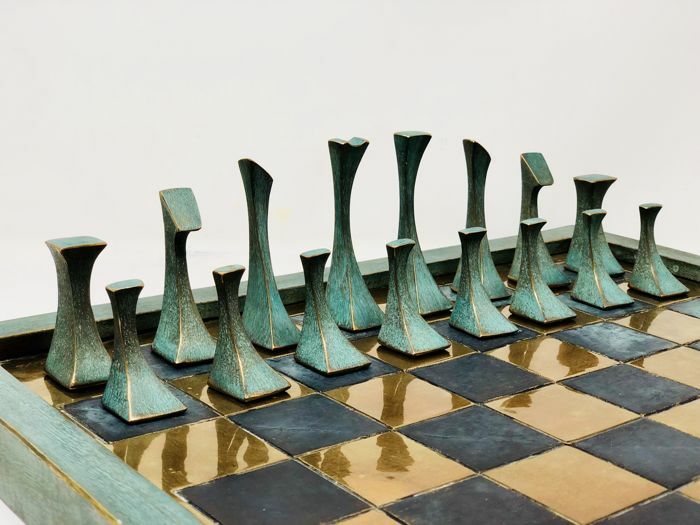 For exhibition and decoration indoors or outdoors for its high quality of materials, a chess set worthy of a museum. 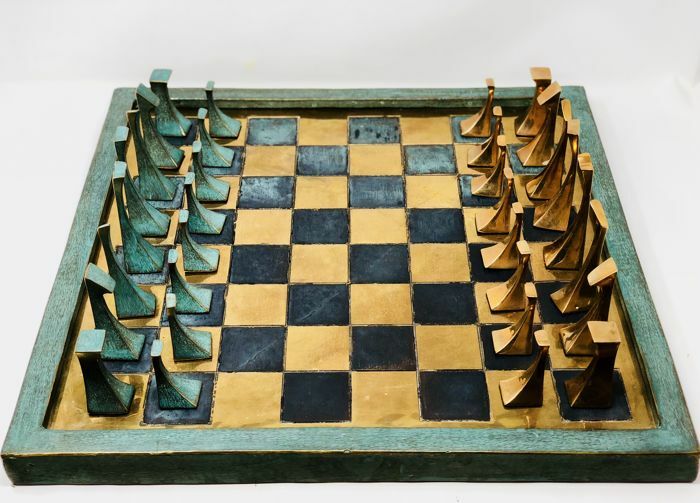 Dimensions: 60 x 60 x 5 cm approximately. King: 13 cm approximately. - Registered shipping and well packed. 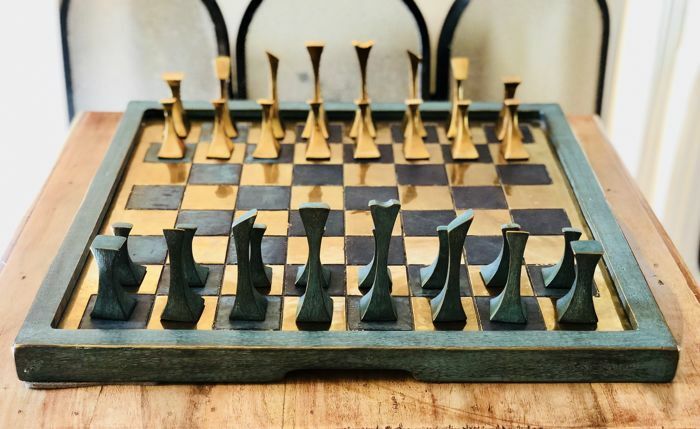 Do not miss the opportunity to make history with this unique author chess set of great artistic beauty. 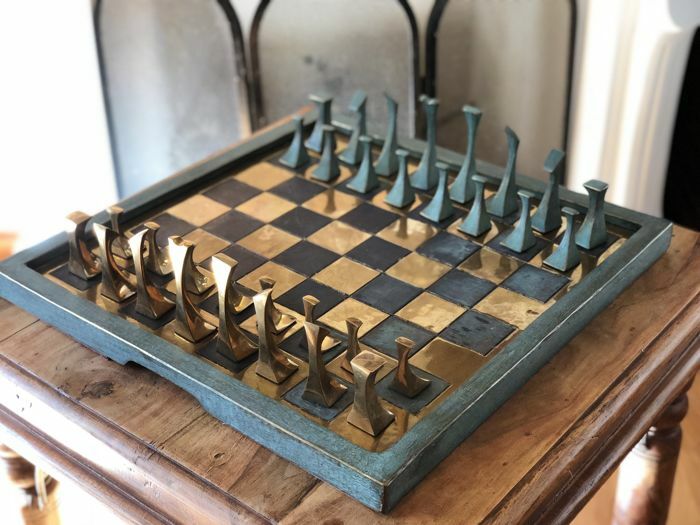 Vous pouvez également retirer ce lot chez le vendeur: Guadarrama (Madrid), Espagne.